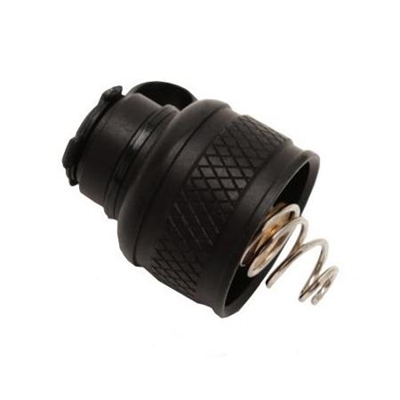 Replace your Scout Light's rear push-button cap assembly with this cap in order to attach a SureFire tape switch. Lock-out feature positively prevents activation during tactical operations, transportation, or storage. Made from aerospace aluminum, MilSpec Type III hard-anodized. Available in Black or Desert Tan.